Paris hosted a strange Olympics in 1900, with no less than 8 sports featuring for the one and only time in the Olympics. The swimming obstacle race was one of those 8. In the event, swimmers had to swim 200 meters, while climbing over a pole and a row of boats, and then swimming under another row of boats. Frederick Lane, of Australia, won the gold medal with a time of 2:38:4. This is one of those events that I actually wish the Olympics had kept, because it would’ve been a lot of fun to watch in modern Olympics. Another entry from the 1900 Olympics, several different hot air balloon events were held, including elevation, duration, and distance. French athletes were able to win gold at all of the events, which helped lead them to 26 gold medals all in all at the Olympics, although gold medals were not given in those days, as small cups and trophies were handed out to the winners instead. This is also won of the events I’d like to watch. 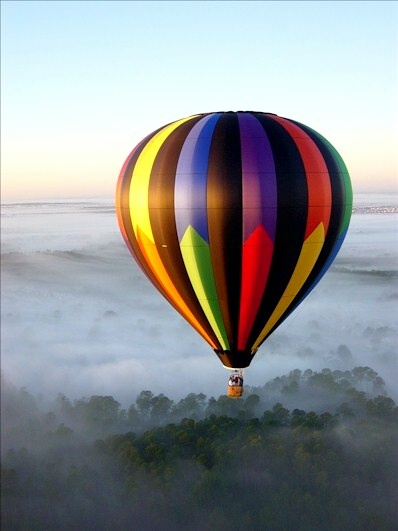 Today’s hot air balloons are much better than those used over 100 years ago, so the sport would be a lot more competitive and better to watch nowadays. The 1908 Olympics, held in London, were an absolute disaster. Controversies plagued the entire tournament, and it was poorly managed. This was seen in the motorboat racing event, which required participants to finish five laps around an 8 mile course. 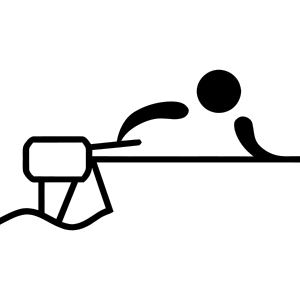 There were three events – Class A, B, and C, but in each one only one “athlete” finished because of a powerful gale, and automatically won the gold. It was the one and only time the Olympics ever featured a motorized sport. The outrage over the lack of athleticism required to compete led to water motorsports never featuring again. 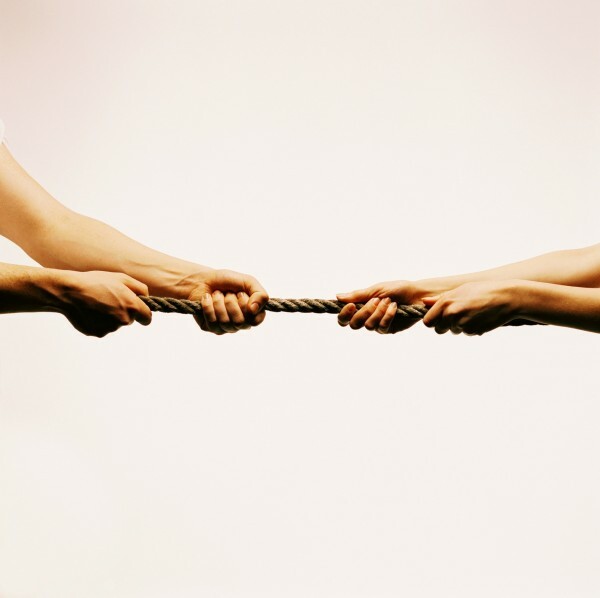 Tug-of-War actually featured in five Olympic Games, from 1900 to 1920, and the sport was very popular in its heyday. Twice, clubs were allowed to take part instead of countries, which led to the United States winning all three medals in 1904, and the United Kingdom doing the same four years later. Overall, the UK was the most successful nation during the Tug-of-War’s stay in the Olympics, with two gold medals, two silver medals, and a further bronze medal. The sport still exists throughout the world today, with the TWIF (Tug of War International Federation) currently having 53 countries as members. Sticking with the ropes theme, Rope Climbing was featured as a part of gymnastics at four different Olympics, ranging from 1896 to 1932. 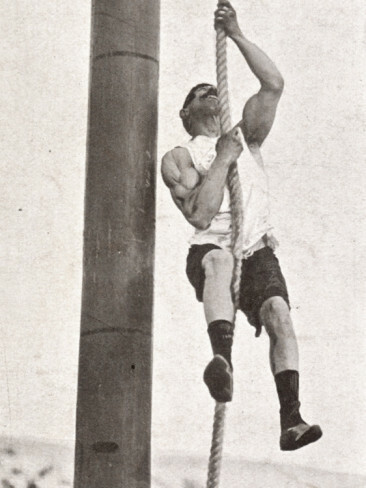 The rope was usually 15 meters long, and contestants who climbed the same height were judged by form and speed to determine who would win the medals. Greece proved to be strong at the event, as the only two participants to climb all the way to the top in 1896 were both Greek. Those competing could only use their hands to climb, meaning upper-body strength was a must. It sounds ridiculous to imagine a huge sporting event like the Olympics actually intentionally killing animals. But that’s exactly what happened in those crazy 1900 Olympics in Paris. There were two events, one which required a payment of 20 franc to enter, and one which required a fee of 200 franc. In both, participants had a time limit to shoot as many pigeons as possible. Donald Mackintosh was able to win the 20 franc event by killing 22 pigeons, which was the most anyone achieved. 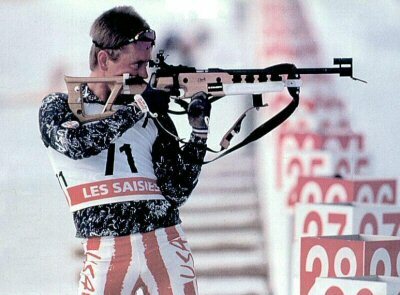 The shooting event was immediately scrapped, and the IOC (International Olympic Committee) no longer recognizes the results. You’d think that being fat would never benefit you in the Olympics, but those with additional weight were extremely successful in the Plunge for Diving event at the 1904 Olympics. 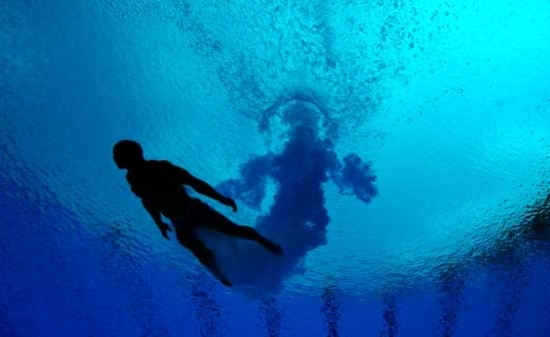 According to the Official Swimming Guide, the sport “is a dive from a stationary take-off which is free from spring from a height of 18 inches above the water. Upon reaching the water the plunger glides face downward for a period of 60 seconds without imparting any propulsion to the body from the arms and legs.” All five participants were American, and the gold medalist weighed a considerable amount. The only sport on here from the Winter Olympics, I actually really enjoy the biathlon, and it definitely has the biggest following of all ten sports on this list. But shooting and cross-country skiing seem an almost random combination. The sport began as an exercise for Norwegian soldiers as part of their training. The event was first featured in the 1924 Winter Olympics under the name military patrol. 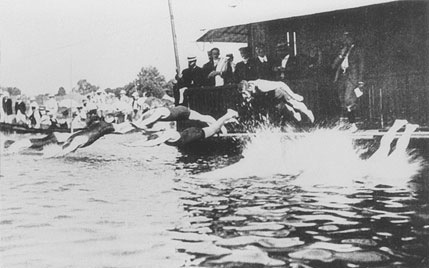 But the sport would not feature again until 1960, due to an international dispute over the rules. There are now 11 Biathlon events featured. Even the name of this sport makes no sense. You’re synchronized…. by yourself? First appearing in the 1984 Los Angeles Olympics, this event actually lasted through three Games before it was finally dropped from the program. It was a woman-only sport, and those women performed a dance routine in the pool, to the sound of music. The better you synchronized with the music, the more points you would get. It just doesn’t make sense, and leaves so much power to the judges. Apparently they could’t handle that power, because a judge mistakingly entered 8.7 instead of 9.7 at the 1992 Olympics, costing Canadian Sylvie Frechette her gold medal, which was later reinstated. There actually is a sport at the Olympics that requires you to walk. I’m not kidding. 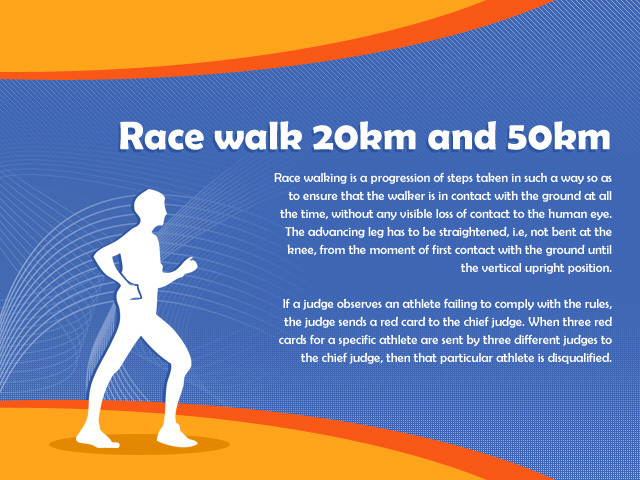 The official rules state that athletes must always have one foot on the ground at any given time, which prevents you from going any faster than a slow jog. What’s even more pathetic than this sport is that it has been in the Olympics since 1932 and still is part of the events. Yet sports such as karate, rugby union, squash, and up until 2016, golf, aren’t in the Olympics. There are currently a 20 kilometers walk and a 50 kilometers walk. The world record for the 50 kilometers is slight over 3 and-a-half hours, so endurance is still requires. But if you’re going to be in the Olympics, please don’t walk. I like this post a lot, great sports it was. Thanks for sharing this to us, looking forward always for more updates. Amazing pics they have, I loved it !